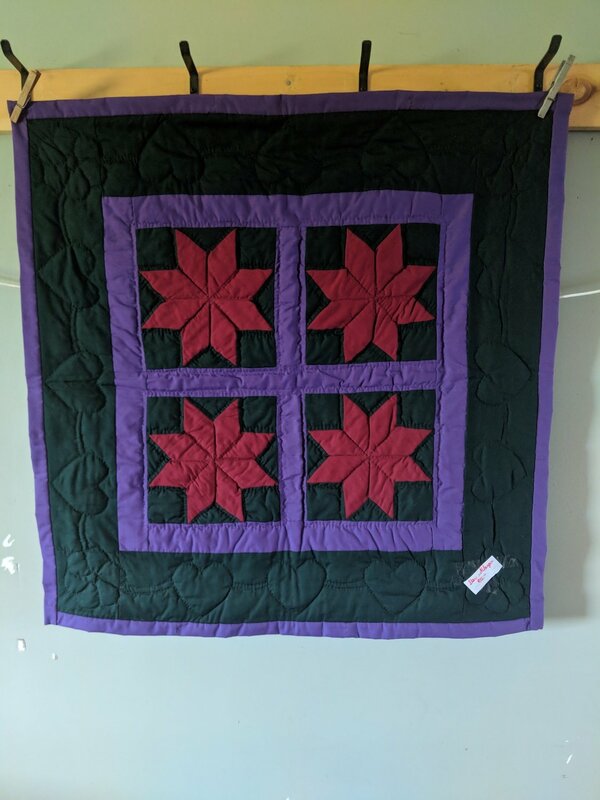 You are ordering a hand crafted quilt in the single 8 pointed star pattern. In the drop downs you will have the option to select a quilt made from the artists signature pallet (blues, purples, and greens) or from blues only. $90 price applies to a sampler wall hanger with four stars and boarder.